Some files require Adobe Acrobat Reader - Get it now. 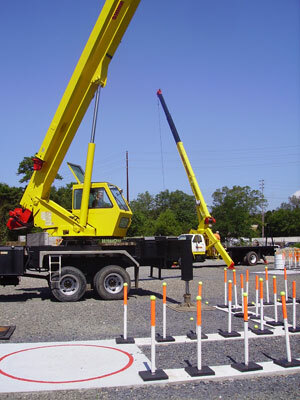 Since December 2003, Shinn Cranes has offered courses to prepare candidates for the NCCCO Written and Practical Examinations, as well as hosting these examinations. Our knowledgeable instructors will cover all aspects of the written examination during a three day course to include, but not limited to, written materials, practice tests, video and overhead projected images. Shinn Cranes offers time on the cranes prior to the practical examination for anyone requesting practice time. Weekend dates are available. Click here for more information on the NCCCO Written and Practical Examinations [pdf, 1.7mb]. In addition to the NCCCO Certification, Shinn Cranes LLC and ACIS-CRANEX LLC offer Signalperson certification. It involves a written examination and a practical examination. Kenny Shinn and T.J. Shinn are both Accredited Signalperson Examiners and can provide training and testing at your location. Click here for the Signalperson Handbook [pdf, 611kb]. Shinn Cranes LLC and ACIS-CRANEX LLC fully endorses the national certification program offered by the National Commission for the Certification of Crane Operators (NCCCO), and will prepare candidates for the NCCCO certification examinations.